Most businesses think that the product is the most important, but without great leadership, mission and a team that delivers results at a high level, even the best product won't make a company successful. Frederic Martin is the Co-President of the Institute for Development in Economics and Administration (IDEA International) and IDEA group coordinator. He has 33 years of professional experience in 42 industrialized and developing countries. His work relates to supporting governments and the public sector in implementing Results-Based Management, in particular through strategic planning, budgeting for results, public finance reform, and results-based monitoring and evaluation. He taught 18 years at University Laval, Quebec where he was Professor and Chair, International development. He also served as a Board member of the International Development Evaluation Association (IDEAS) from 2008 to 2013. He is the author or co-author of around 115 publications and 55 presentations. He holds a Diploma from the École Supérieure de Commerce in Lyon, France, a M.Sc. in Economics from the University of Montreal, Canada, and a Ph.D. in Agricultural Economics from Michigan State University, USA. 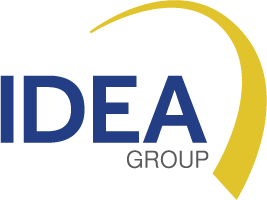 IDEA relies on an international network with headquarters in Quebec (Canada), offices in Ciudad de Panama (Panama), Ouagadougou (Burkina Faso), Paris (France), and Praia (Cape Verde) and a network of collaborators and partners in various countries. Our team is comprised of highly qualified experts in fields such as economics, results-based management, training, public management or information systems, as well as project management and quality control specialists who ensure we always provide the best products and services.